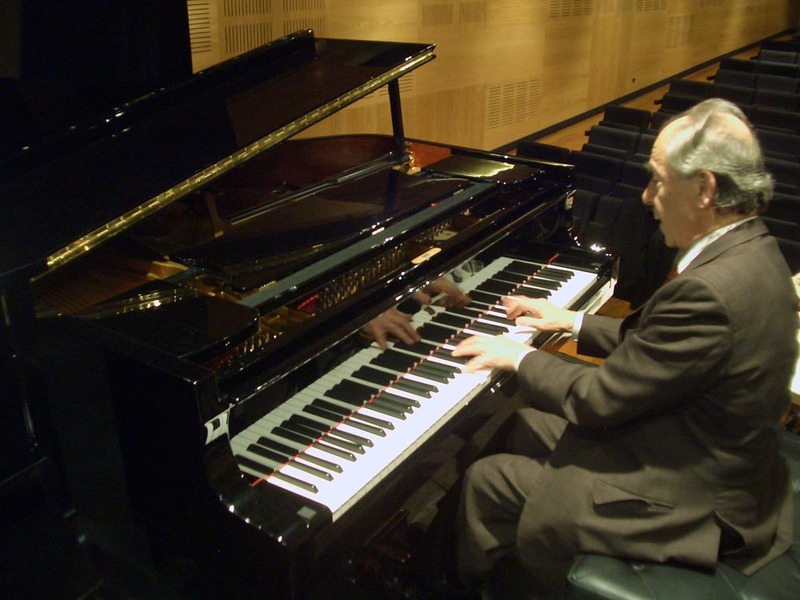 A few weeks ago, the elderly piano master Paul Badura-Skoda (below) returned to Madison, where in the late 1960s he spent five years as an artist-in-residence at the University of Wisconsin-Madison School of Music. Even at 84, the Vienna native is impressive, though you can hear that he doesn’t have the muscle strength, mental focus or physical stamina that he did in his prime. After all, at one point he had some 200 LPs on the market – surely an impressive record, so to speak. But when Badura-Skoda performed his ambitious recital on two historic or vintage pianos at Farley’s House of Pianos (below), he performed the kind of program we don’t hear a lot these days. And that, I feel, is too bad. Too often these days, the great pianists seem bent on humbling not only listeners but even accomplished amateurs. 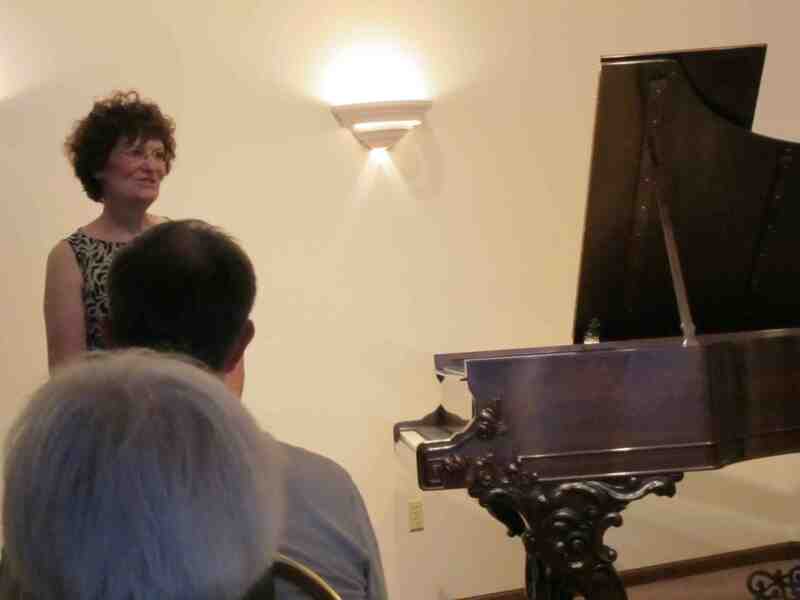 Instead Badura-Skoda performed pieces that many of us listened to early in our lives and then, during piano lessons, continually practiced and played as we tried to master them. There was Bach’s Partita No. 1, made up of six short dance movements. There was Mozart’s fiercely anguished Sonata in A minor, K. 310. There were two Schubert Impromptus (the dramatic No. 2 in E-flat Major and the songful No. 3 in G-flat major from the Op. 90 set of four impromptus). Then came the second half, a generous Chopin group. There were the four Op. 30 Chopin mazurkas. There were the two Op. 27 Nocturnes; the Barcarolle. There were three waltzes (the sad A minor waltz, Op. 34, No. 2, the aristocratic and famous C-sharp minor waltz and the charming so-called “Minute” Waltz in D-flat). He tossed off the “Revolutionary” Etude as an encore. How refreshing it was to listen to these familiar and playable works, and to hear the subtleties and nuances that a seasoned virtuoso, who has spent many decades studying, playing, performing and teaching them, brings to those works. 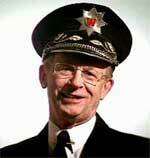 Not that Badura-Skoda can’t play the BIG pieces if and when he decides to. For his previous concert in Madison a couple years ago, he performed the last sonatas of Haydn, Beethoven and Schubert on one program. And he has recorded all the Mozart, Beethoven and Schubert sonatas – a formidable feat. So he can certainly pull big pieces out of his repertoire hat when he wants to. Clearly, his choice of generally more modest fare was deliberate. Maybe relatively, compared to say, Beethoven’s “Hammerklavier” Sonata or some brash modern works like Prokofiev’s sonatas or Ligeti’s etudes. But the older I get the more it seems that no music is really easy – not even the small Scarlatti sonata (the slow and heart-felt aria lament in D minor, K. 32) or the simplest Two-Part Invention of Bach. There is something else to praise in such programming. Badura-Skoda played to a full house. It made we wonder how many more full houses we might see if more accessible and more familiar repertoire were programmed. Works that seduce us into a vicarious mastery are undeniably attractive. 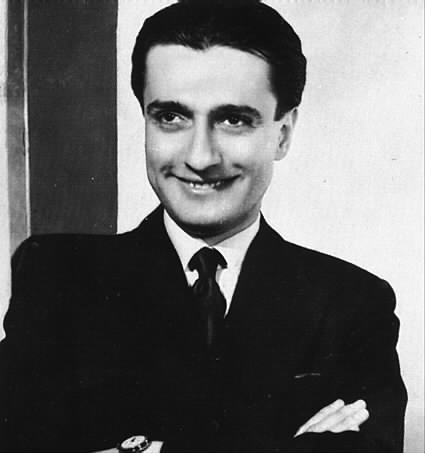 The recital was also something of an homage to the great Romanian pianist Dino Lipatti (1917-1950, below), who died prematurely and performed many of the same works on his last concert program, except that he played all the Chopin waltzes rather than mixing waltzes with other shorter dance forms. I like the idea of a re-programming project much as I like re-photographing projects. But that is another topic for another post on another day. 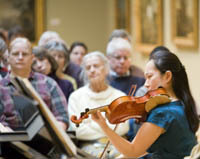 In the mean time, what do you think about performing shorter, more familiar, accessible and even playable works? Do they attract you to concerts? Are there certain works you are hungry to hear and used to practice? Classical music datebook: Professional-student musician encounters should make it a memorable week as will women composers and performers, even amid the 13th annual Wisconsin Film Festival. Listen to the NHK Symphony in Stravinsky. There is a lot of music to be heard this week in Madison, though you might think otherwise, given that the 13th annual Wisconsin Film Festival will also be taking place. But if there is a theme to the coming week, it is that professional musicians – musicologists and performers, both instrumentalists and singers — will meet with students. Such encounters should benefit both – as well as the public, who is invited to them free of charge. At 1:15 p.m. in Old Music Hall, UW alumna and singer Abbie Furmansky (BM 1988, below) will meet with undergraduate and graduate singers for an informal discussion of careers, management, opportunities in Europe and more. At 3:15 p.m. in Room 6541 of the Mosse Humanities Building, the Guest Artist Series (GAS) will host Daniel Sutton in a Composer Seminar. At 7:30 p.m. in Mills Hall, violinist Diana Seitz (below) and pianist Brendan Kinsella will perform on the guest artist Series. The appealing program includes Sonata No. 9 in A major, Op. 47 (“Kreutzer”) by Beethoven; Sonata by Poulenc; the “Palpiti” Variations by Paganini; and the Scherzo in C minor by Brahms. Seitz, a native of Azerbaijan, studied under Olga Kaverzneva at the Tchaikovsky Moscow Conservatory and received master’s and doctoral degrees from the University of Oklahoma, where she studied with Felicia Moye, who is now at the UW-Madison. She was the assistant concertmaster of the Oklahoma City Philharmonic and first violinist of the Crouse String Quartet. 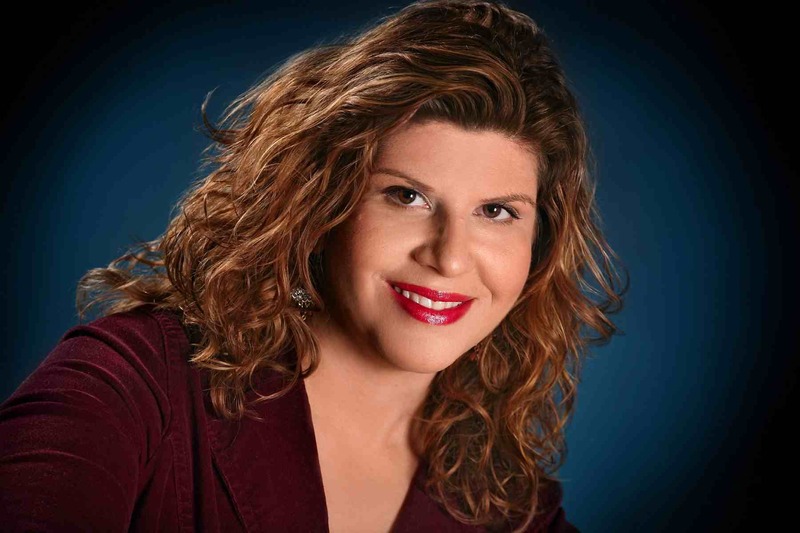 Currently, she is assistant professor of violin at the University of Texas-Pan American. Kinsella received his bachelor’s and master’s degrees from the College-Conservatory of Music, University of Cincinnati, where he studied with Frank Weinstock. He received the D.M.A. degree from the University of Missouri-Kansas City as a student of Robert Weirich. He has appeared widely as recitalist, chamber musician and concerto soloist with orchestra, including performances at the Central Conservatory of Music in Beijing and his 2010 solo debut at Carnegie Hall’s Weill Recital Hall. 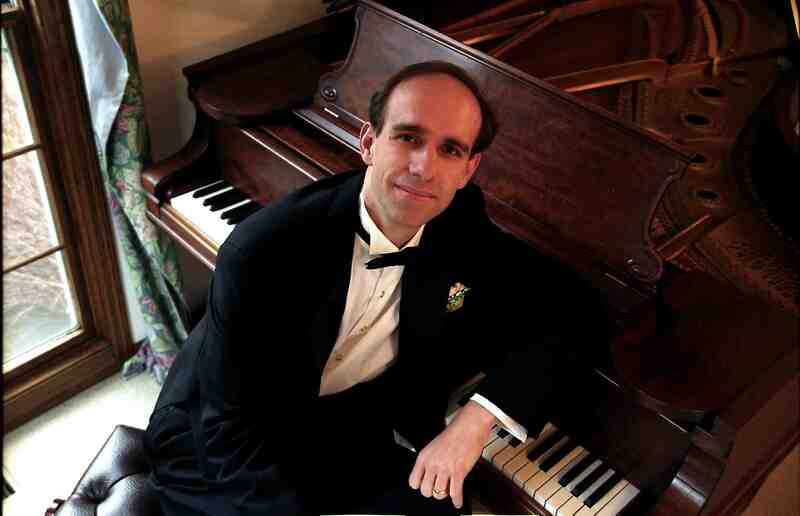 He is assistant professor of piano and collaborative piano at the University of Texas-Pan American. 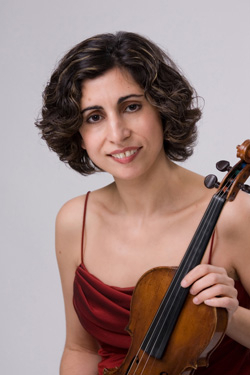 At 1 p.m. in Morphy Hall, violinist Diana Seitz will hold a violin free public master class. 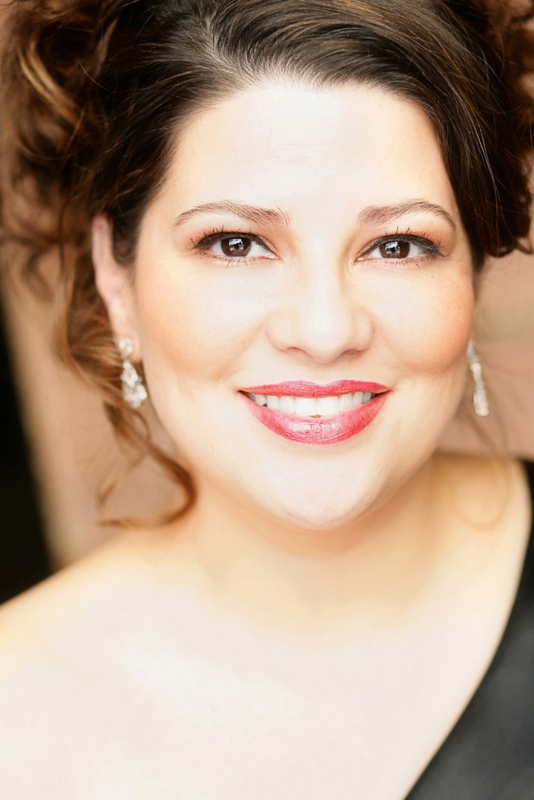 At 4:30 p.m., in Morphy Hall, Guest Artist Series (GAS) singer Abbie Furmansky, will hold a free public master class. At 4 p.m in Room 1641 of the Mosse Humanities Building, as part of the Colloquium Series, UW alumna Julia Chybowski (below) will speak. 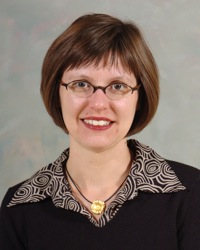 Chybowski earned her Ph.D. in historical musicology from the University of Wisconsin-Madison. Her current research, for which she has been awarded an Andrew W. Mellon Foundation Summer Fellowship, addresses race and gender in 19th-century transatlantic music reception. 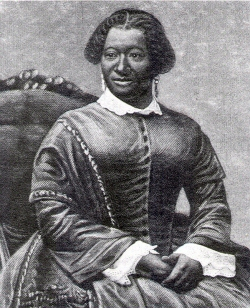 Chybowski will discuss the life, career and reception of Elizabeth Taylor Greenfield (below), the first African American vocalist to earn wide acclaim in the United States and abroad. The program features music with a British theme including works by G.F. Handel, Gustav Holst, Percy Grainger, and many others. The Edgewood College Campus-Community Band is directed by Matthew Schlomer. 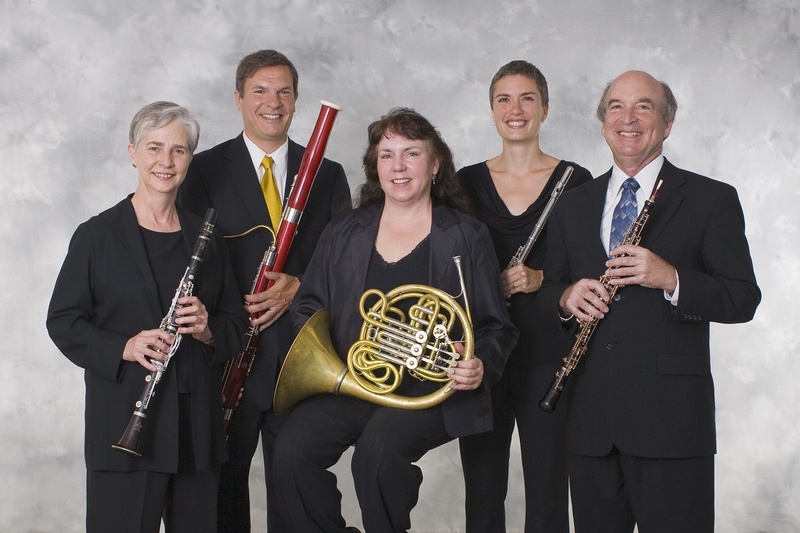 At 8 p.m. in Morphy Hall, the Wingra Woodwind Quintet (below) will perform on the Faculty Concert Series. The program includes five works: Scherzo, Op. 45 by Eugene Bozza; Summer Music, Op. 31 by Samuel Barber; Wind Quintet, Op. 26 by Arnold Schoenberg; Suite by Bela Bartok; and Wind Quintet by Endre Szervansky. This semester, clarinetist Ching-Chieh Hsu performs with the Wingra Quintet during Linda Bartley’s sabbatical. It will be preceded at 6:30 p.m. by a free lecture given by John W. Barker (below), a retired UW history professor who writes music criticism for Isthmus and also for this blog. Tickets are now available from Brown Paper Tickets or at Orange Tree Imports on 1721 Monroe Street in Madison, Wisconsin. At 8 p.m. in Mills Hall, the Faculty Concert Series features UW trombonist Mark Hetzler (below) with UW pianist Martha Fischer and Vincent Fuh, piano and synthesizer; Nick Moran, bass; Todd Hammes, drums and percussion; and UW percussionists Anthony Di Sanza and Joseph Murfin. The eclectic program incorporates elements of classical, jazz, Latin, funk, rock and more. “Entelechy” by David Vayo (world premiere); “New England Scenes” by James Stephenson (Wisconsin premiere); “Minuano (Six Eight)” by Pat Metheny/Lyle Mayes; “Mas Alla” by Metheny; and “First Circle” by Metheny/Mayes. 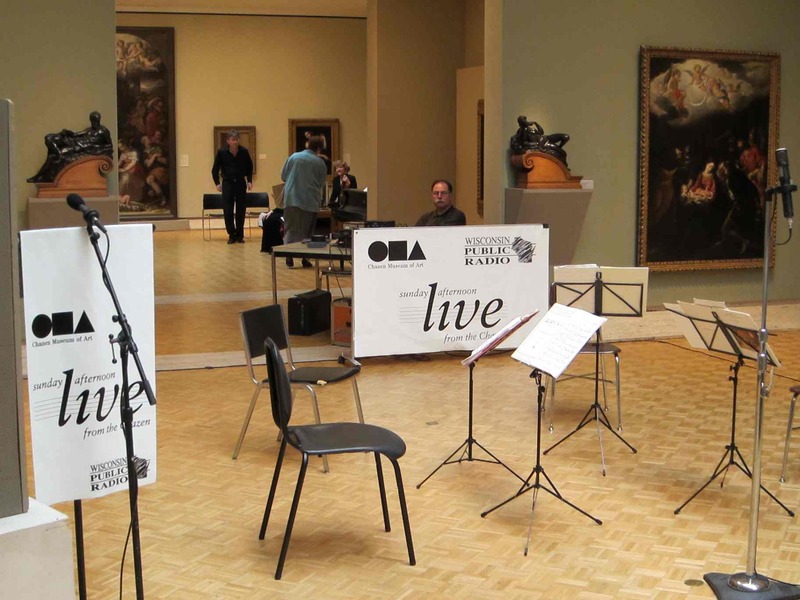 On "Sunday Afternoon Live from the Chazen," the Wingra Woodwind Quintet (see above) will perform from 12:30 to 2 p.m. The concert will be broadcast live by Wisconsin Public Radio. The program includes Eugene Bozza’s Scherzo, Op. 45; Samuel Barber’s “Summer Music,” Op. 31; Arnold Schoenberg’s Wind Quintet, Op. 26. The quintet has been ensemble-in-residence at the UW-Madison since it was founded in 1965. Members include oboist Marc Fink, hornist Linda Kimball, flutist Stephanie Jutt, bassoonist Marc Vallon and clarinetist Ching-Chie Hsu. Members of the Chazen Museum of Art or Wisconsin Public Radio can call ahead and reserve seats for Sunday Afternoon Live performances. Seating is limited. All reservations must be made Monday through Friday before the concert and claimed by 12:20 p.m. on the day of the performance. For more information or to learn how to become a museum member, contact the Chazen Museum at (608) 263-2246. A reception follows the performance, with refreshments generously donated by Fresh Madison Market, Coffee Bytes and Steep & Brew. 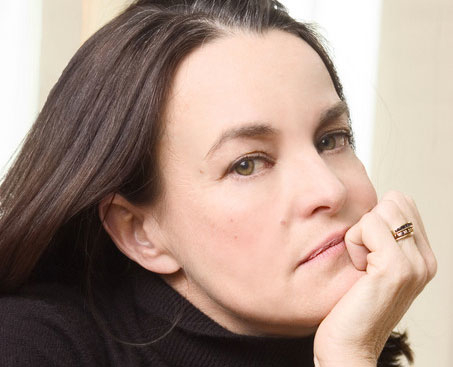 A free docent-led tour in the Chazen galleries begins every Sunday at 2 p.m.
At 3 p.m., the First Unitarian Society, 900 University Bay Drive, will give the Madison premiere of “Missa Gaia: Mass for the Earth” for Soprano Solo, Chorus and Chamber Ensemble by Libby Larsen (below). 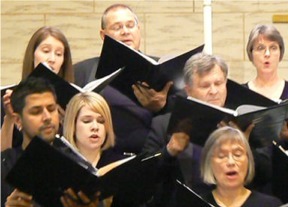 Artists include Heather Thorpe, soprano, the Society Choir and guests under conductor and FUS music director Dan Broner. At 4 p.m. in Mills Hall, soprano Abbie Furmansky and pianist Daniel Sutton will perform for the School of Music’s Guest Artist Series. The program is “Seven Early Songs” by Alban Berg; five songs by Richard Strauss, including “Allerseelen” (“All Souls’ Day”) and “Zueignung” (“Dedication”); “Five Songs on Texts by Attilio Bertolucci” by Sutton; and “Seven Spanish Folksongs” by Manuel de Falla. During their five-day residency, Furmansky will meet with student singers for an informal discussion of careers. The wife-and-husband duo are based in Europe where they have forged their careers—hers as a performer with opera companies and orchestras, his as composer and pianist. The recital is one of the school’s featured events for UW-Madison’s Year of the Arts, which has assembled a myriad of performances, exhibitions, films, lectures and other forums for artistic expression across campus this year. Admission to the recital is free. 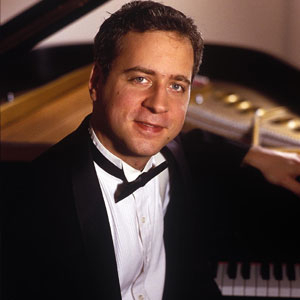 Furmansky studied with Mimmi Fulmer at UW-Madison and received the Bachelor of Music degree in 1988. She came to prominence in Europe as an ensemble member at Deutsche Oper Berlin, where she quickly established herself in the lyric soprano repertoire. She has appeared with New York City Opera, Canadian Opera, Los Angeles Opera and the opera companies of Munich and Frankfurt, among others, and with Deutsches Symphonie-Orchester Berlin, the Netherlands Radio Philharmonic and the Bavarian Radio Orchestra. Leading conductors with whom she has worked include Edo de Waart (currently music director of the Milwaukee Symphony), Kent Nagano, John Nelson and Christopher Hogwood. Sutton is a composer of works for many idioms, including symphonic, chamber and solo instrumental and vocal. In July 2005, his quartet for four trombones, “Communion, part 1” received its world premiere in Germany by members of the Leipzig Gewandhaus Orchestra. His “New American Overture (July 4th at Gettysburg)” was premiered by the Magdeburg Symphony Orchestra under the baton of American conductor Carol Crawford in April 2000. 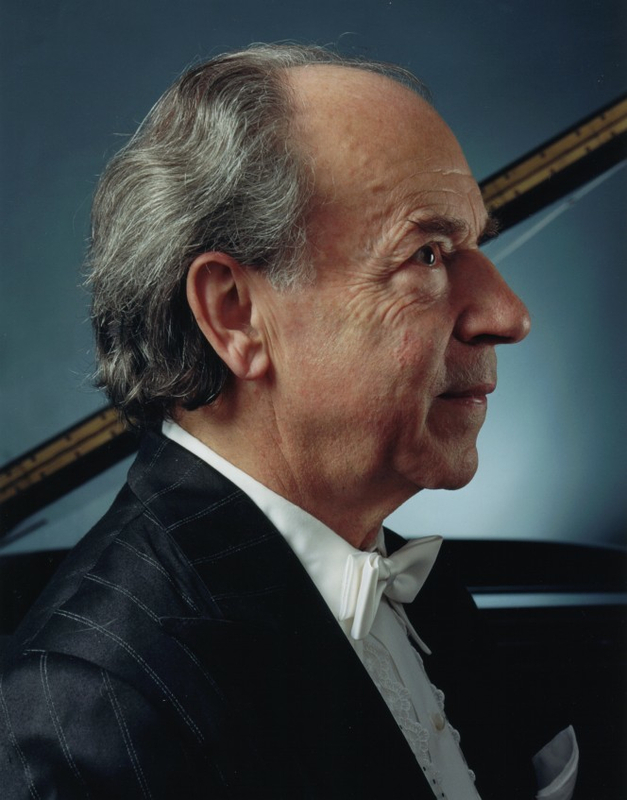 As a pianist, Sutton performs his own compositions for solo piano as well as works of the standard repertoire. The duo’s residency is supported by the Vilas Trust and the Year of the Arts. 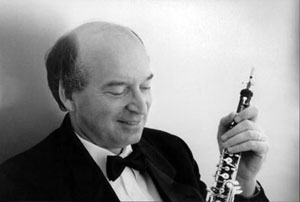 Classical music news: Madison-born and Madison-educated composer Lee Hoiby died Monday at 85. 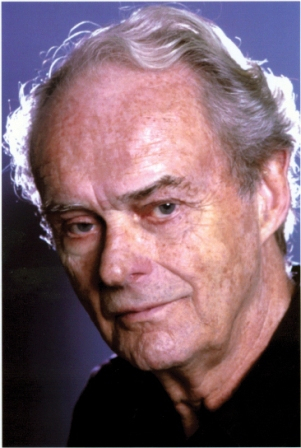 Lee Hoiby (below), a composer who was born and educated in Madison and who was especially known for his lyrical songs and operas as well as his outstanding craftsmanship, died Monday in New York. He was 85. Hoiby, who proudly bucked the minimalist and atonalist trends in modern music, recently returned to Madison to accompany a local singers in his own songs. Classical music review: Samuel Barber’s Violin Concerto is headed for the Top 5 or 10, The Ear predicts. Listen to Japan’s NHK Symphony Orchestra in Rachmaninoff. 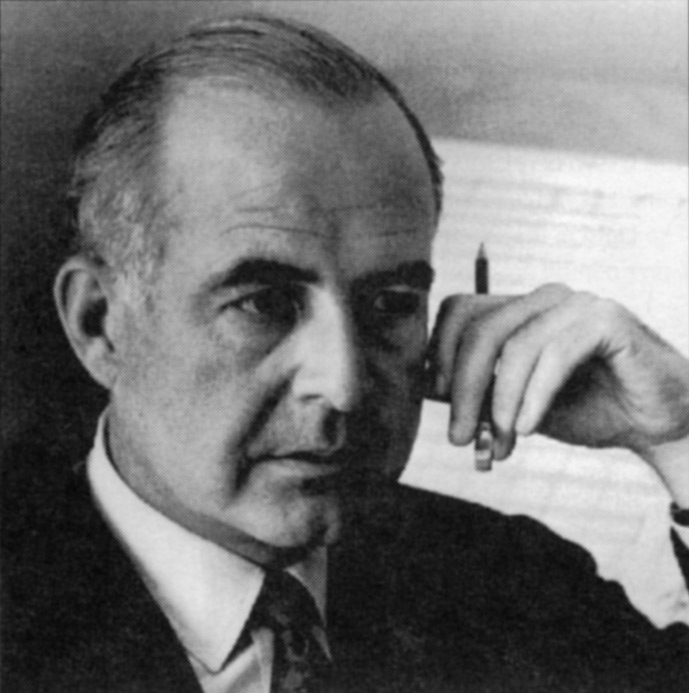 The early Violin Concerto by American composer Samuel Barber (below, 1911-1981) is headed straight to that list of the Top Five or Top Ten violin concertos that the public always clamors for and hungers to hear. Just to be sure, I looked up the Top 10 violin concertos on answer.com. And sure enough, the Barber was NOT listed. It should be, and it will be. The piece – which was composed in 1939, premiered in 1941 and pretty much unprogrammed until the 1980s — may never be as popular as Barber’s famous Adagio for Strings (which by the way, was first performed by the UW’s Pro Arte String Quartet in Rome in 1936). But it will come close, I predict. On what basis do I make this prediction, you might justifiably ask? On the basis of the gorgeous and accessible music, I could say, the kind of intensely lyrical music we need today more than ever. But I have other more quantifiable proof. When I went to the Sunday afternoon to hear Robert McDuffie (below, in a photo by Christian Steiner) perform the work with the Madison Symphony Orchestra under John DeMain, I learned at intermission that all the McDuffie CDs of the Barber concerto has been sold and all that remained was McDuffie in Philip Glass’s Violin Concerto No. 2, which was written for McDuffie. As Schubert (Sam, of the theater chain, not Franz) used to say: The box office never lies. If you heard McDuffie’s performance you understood why. McDuffie, a specialist in modern American music who consulted Barber himself about the concerto, turned in a world-class performance. It was by turns lyrical and tender, dramatic and assertive. It was always convincing and engaging, even totally involving. For all that, it is not at all an easy piece to accompany and the MSO and DeMain (below,in a photo by Katrin Talbot) stayed with McDuffie all the way. And to answer the old criticism that the toccata-like perpetual motion last movement is “unplayable,” McDuffie and DeMain, who have partnered four previous times in Madison, repeated the ENTIRE closing movement as an encore – both times to a well-deserved standing ovation with cheers. You could clearly see the chemistry between the two men as they headed to the searing and exacting conclusion, which has no room at all for sloppiness. You either end together or you don’t. It was all very exciting and, in the first two movements, deeply moving in its melodic lyricism. I wish I could say the same about Beethoven’s Symphony No. 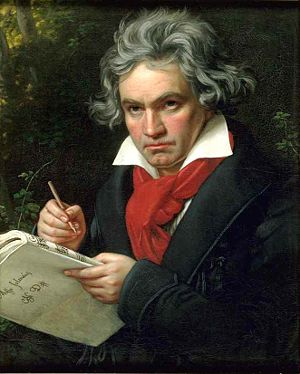 3 “Eroica.” DeMain and the MSO players turned in some outstanding work (despite an early horn flub, the brass generally stood out) that featured clear part-playing and the classical aspects of Beethoven (below), especially in the Funeral March’s fugue. But you had the feeling that this muscular, mammoth, history-making and revolutionary work that changed the course of classical music needed to be larger in execution. I wanted those dissonant chords in the first movement to be rougher and hit me harder and more deliberately. I wanted to hear the players almost straining under Beethoven’s demands. The performance needed a bit more dynamism and contrast to be really revolutionary. I would have liked the orchestra to be louder in the symphony (and a bit less loud at times in the concerto) and to have the tempo that was more upbeat with more defined accents. The reading was convincing, to be sure. But I always think that this kind of heroic Beethoven has to go further than that. It has to be in your face. It should, in short, be more operatic, which is something that DeMain, an opera specialist, can surely deliver whenever he wants to. Dvorak’s “Carnival” Overture opened the concert as a fine set up complement or contrast to the Barber. All parts of the symphony performed well, and made the work shimmer and shine and dance. And special thanks and recognition were rightfully given by both DeMain and McDuffie to principal flutist Stephanie Jutt (below top) and principal oboist Marc Fink (below bottom, in a photo by Katrin Talbot), the latter especially standing out in his heart-breaking opening of the second movement of the Barber concerto. 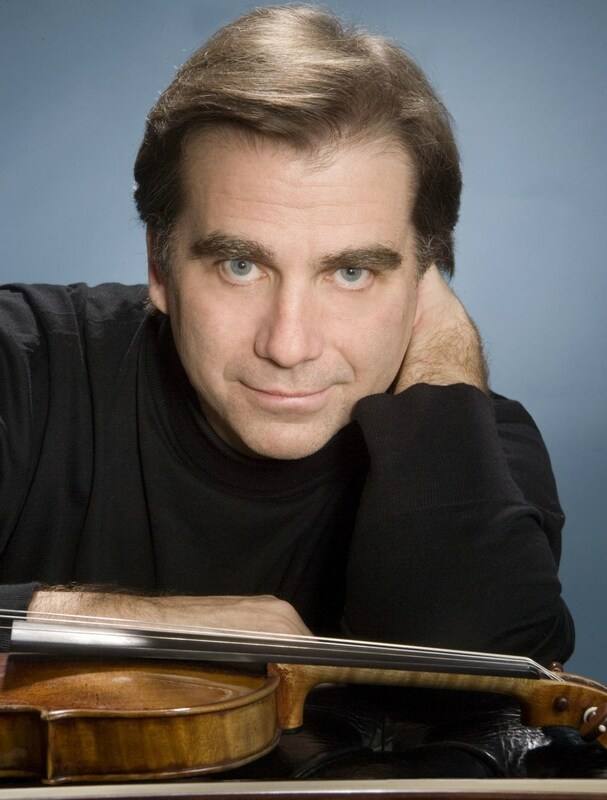 What do you think of the Barber Violin Concerto and soloist Robert McDuffie? What did you think of the Madison Symphony Orchestra’s performance of Barber’s Violin Concerto and Beethoven’s “Eroica” Symphony? 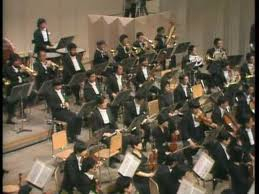 All this week I will honor the spirit and persistence of the Japanese in overcoming their crises and natural disasters by featuring performances by the NHK Symphony Orchestra of Tokyo. “We have pulled out all the stops in 2011-12” said Music Director and Andrew Sewell (below), who will mark his 11th season with the WCO. “We have created our own WCO Chorus and welcome a new collaboration with the Festival Choir of Madison for our performance of Handel’s ”Messiah” and Beethoven’s Ninth. “We will also feature Madison’s own Christopher Taylor in a performance of John Field’s Piano Concerto No. 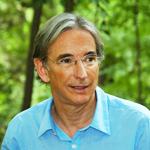 4, and the talents of James Ridge, American Players’ Theatre actor, who will narrate The Night Mail by Benjamin Britten. 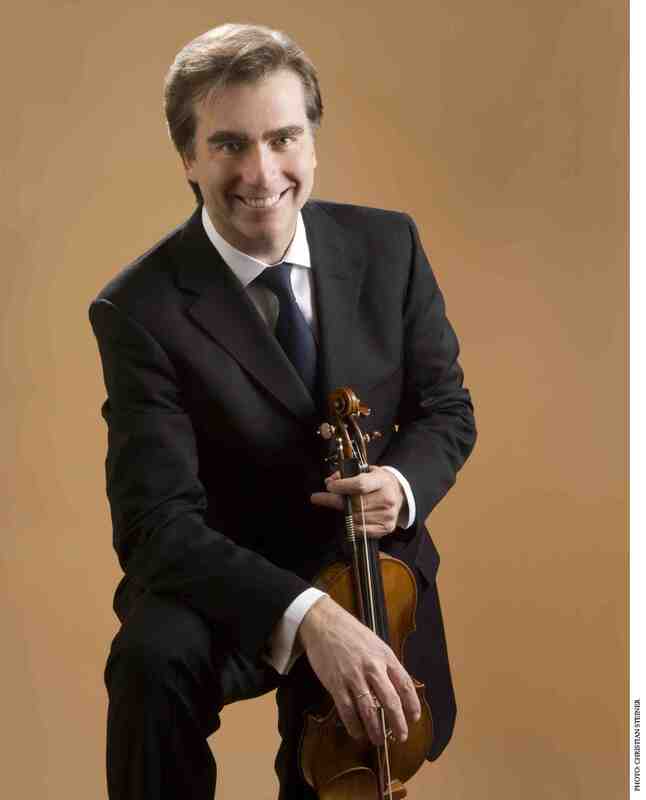 Also, Alexander Sitkovetsky ill perform Beethoven’s timeless Violin Concerto in D Major. 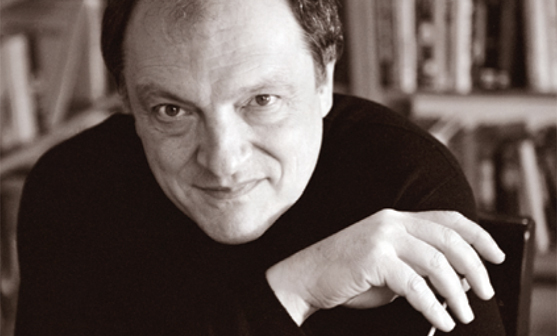 The Ear sees the new season as consistent with Sewell’s sharp sense of programming. It features fine soloists and eclectic music, including works that are often ignored in live performances and recordings. 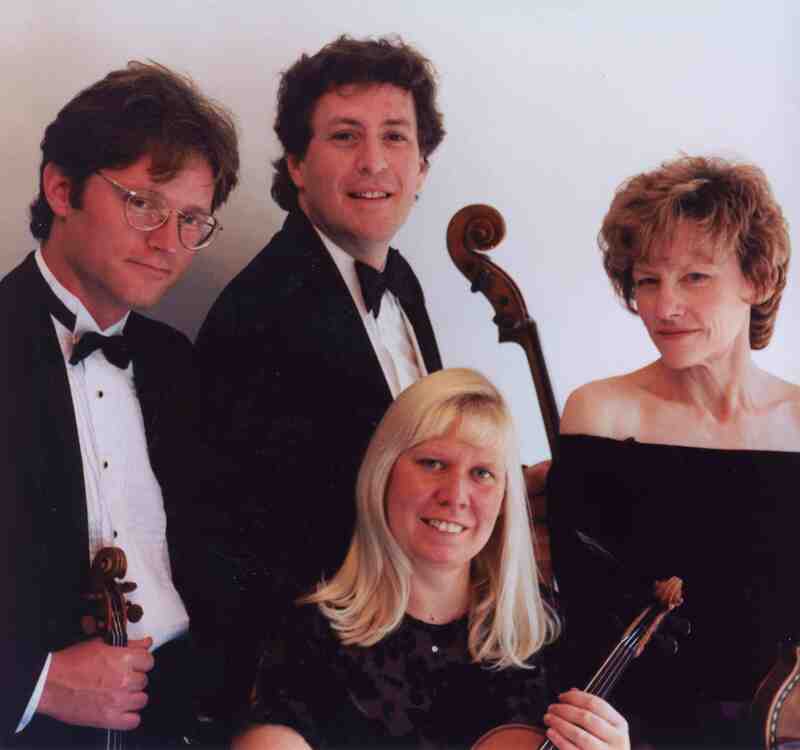 The has also been talk of the Wisconsin Chamber Orchestra (below) going to two performances — I think on Friday and Saturday nights, which I also think would be a smart move – but apparently this isn’t the economy to take such a step yet. Saturday, November 26, 2011, 8 p.m.
Sunday, November 27, 2011, 1 p.m.
Renewing Subscribers: Save up to 25% and get to keep their current seats, will be first to upgrade if they wish, first to order pre-concert dinners, and invitation to subscriber events. Order season tickets by May 31, 2011 and the WCO will waive the $7 subscription processing fee. Single ticket prices for the Masterworks concerts have remained the same as last year with a range of $19-$62, with discounts for seniors, students and youth. Before each Masterworks concert, patrons are invited to join us for a gourmet dinner and a lively discussion of that evening’s concert. Doors open to Overture Center’s Wisconsin Studio, with cash bar at 6:00 p.m., and dinner served buffet-style at 6:30 p.m. At 7 p.m. 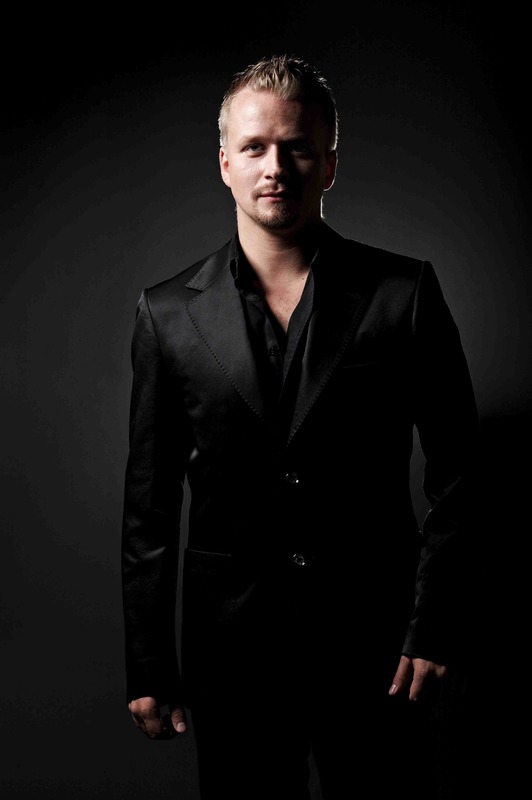 Maestro Andrew Sewell and the concert guest artist will enlighten you with insights into the upcoming concert repertoire. Subscription tickets are on sale now. Single tickets will be available at the Overture Center Box Office starting in Sept. 7, 2010. What do you think of the WCO’s new Masterworks season? In case you didn’t tune in live to the grand finale concert last Sunday, I thought it might be good to offer some links to the second YouTube Symphony 2011. As I documented in earlier posts this year, the symphony – an exciting project — received hundreds of auditions from around the world. 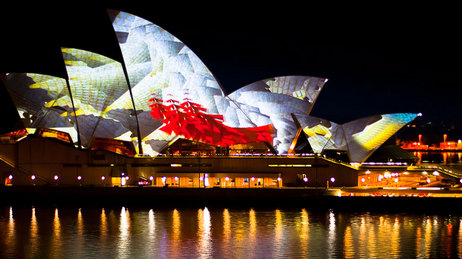 Then in March, the chosen members (101 young musicians from 33 countries on five continents) gathered in Sydney Australia for a week to rehearse an ambitious 2-1/2 hour program that was performed in the iconic Sydney Opera House (fitted out with projections of sails, below top) under the baton of Michael Tilson Thomas (below bottom), music director of the San Francisco Symphony Orchestra and the New World Symphony Orchestra in Miami, and was webcast live around the world last Sunday. 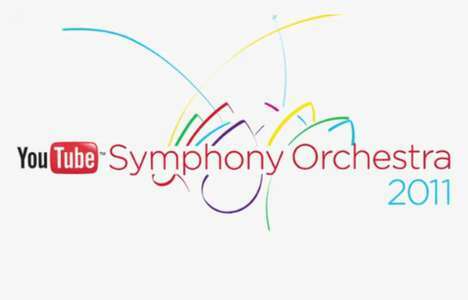 Here is a link to the YouTube Symphony’s rich homepage where you can watch the whole concert and also find stories about various musicians — students and mentors — and other aspects of the concert and the YouTube Symphony in a day-by-day account. It sure likes like a lot of fun and pleasure. The whole project is so intriguing as an example of the globalization of classical music – it sure sounds like it is even more popular in Asian and South American than in North America and Europe. At last count, the performance reached almost 31 million viewers -=- BREAKING ALL RECORDS WIOTH THREE TIMES AS MANY VIEWERS AS THE YOUTUBE U2 CONCERT. That makes it THE most watched concert in history — in any genre of music. So much for the doomsayers, who find classical music to be hopelessly moribund. I am particularly intrigued about how the use of new media and social media as well as different genres of music are altering the landscape of classical music. Anyway, the event received a lot of coverage. So here is just a sampling, some selected links and blogs and critiques, including reactions from participants. Maybe something similar could be done for a mammoth solo piano recital of professionals or really fine amateurs. I would love to see and r that. Be sure to add your own thoughts and perceptions. And so apparently do countless people around the globe. 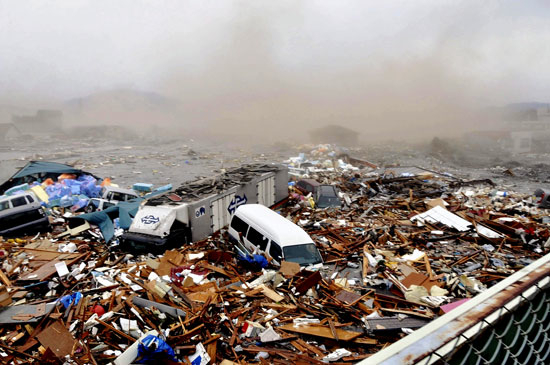 Classical music news: Despite the disasters of Japan’s earthquake, tsunami and nuclear crisis, the NHK Symphony Orchestra of Tokyo performs in New York’s Carnegie Hall. 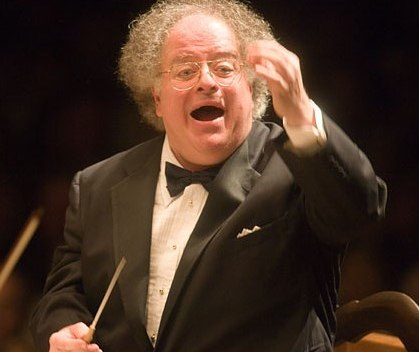 James Levine drops some Metropolitan Opera dates. 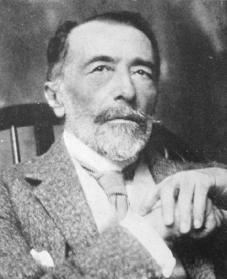 Joseph Conrad opera premieres. 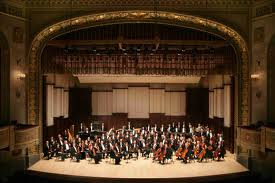 The beleagued Detroit Symphony Orchestra turns to Facebook. 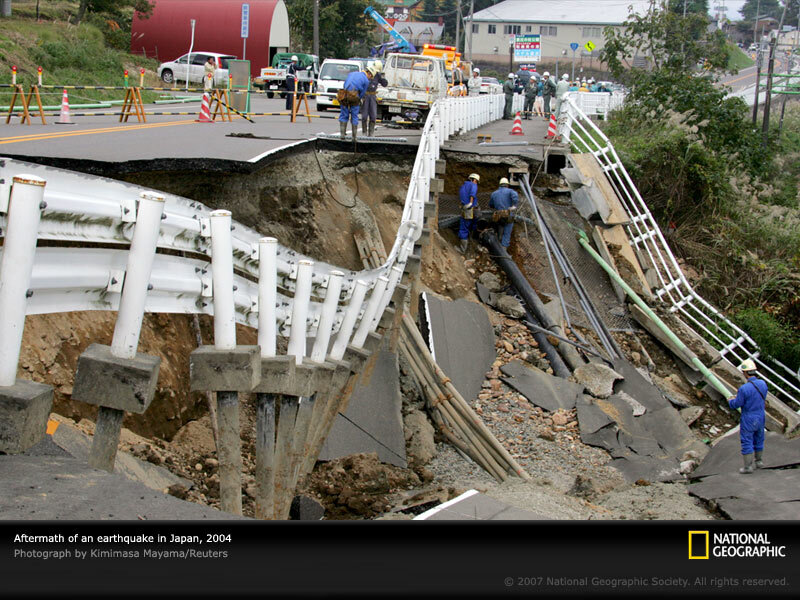 These days, the world seems plagued with calamities, from upheaval and violence the Middle East to the natural catastrophes in Japan (below) to terrorist attacks. Yet for me it makes music and artistic beauty seem all the more relevant, not irrelevant. Classical music review: CD of the Week is Wigmore Live’s second volume of Beethoven violin sonatas. The Ear gives it 10 out of 10. Fans of this blog know that one of my major discoveries last year was the “Wigmore Hall Live” series of recordings. 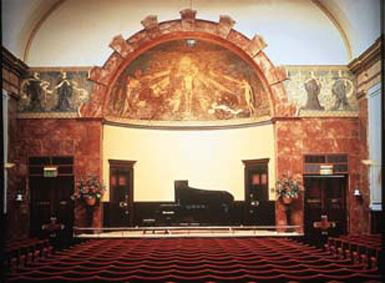 The series, made over the past several years at the famed Wigmore Recital Hall (below) in London and done live, features everything except symphony orchestras from piano soloists to string quartets, baroque chamber orchestras to cello, violin and voice recitals. That is typical of the recording scene today. Major labels are cutting back, and more individual and group performers as well as concert halls and presenters are issuing their own recordings on their own label. What is more, because the “Wigmore Live” CDs are recorded concerts, the format is generally a program, a deliberately planned recital with interconnections or a theme or a unity of contrasts – not just, say, all the Chopin ballades or waltzes, or all the piano sonatas by Beethoven (below) as so typically comes out of the studio. Now I have a new recommendation to make: The second volume of Beethoven’s complete sonatas for violin and piano, with the young Russian violinist Alina Ibragimova and the young French pianist Cedric Tiberghien, has been issued. And like the first volume, it is a winner. I now have no doubt that this will end up being my favorite recordings of the Beethoven violin sonatas, despite much good competition from Isabelle Faust and Alexander Melnikov, Gidon Kremer and Martha Argerich, Itzhak Perlman and Vladimir Ashkenazy among others. Many things make this a top choice for me. The sonics and engineering are excellent, and the audience, your typically restrained and attentive British concert-goers, doesn’t cough a lot or unwrap cough drops and candies in the middle of a quiet passage, although they do reward fine performances with well deserved applause. But most of all I find the playing superb. The experience of the performers, who have played many of the same Beethoven works at various festivals, shows. It never seems heavy or forced or ugly. It is balanced in dynamics, voice-leading and counterpoint. This is a real partnership of equals devoted to the music, not to their own careers or their friendship. I also like the programming. Generally, with these performers you get something from Beethoven’s early period, his middle and his late period all on the same CD. That gives you an instructive lesson in his development and also keeps the music interesting for its stylistic changes, something that made the first volume (below) so appealing. This time the recital opens with a gloriously straightforward version of the famed “Spring” Sonata in F Major. Op. 24, with both extroverted lyricism and upbeat tempi. Then comes the Sonata in A Major, Op.12, No. 2 — which I like placed put of chronological order — his first published set. It matches the mood of the Spring Sonata but is even more lively. I find all of these performances, in no matter period, convincing and even captivating and thoroughly Beethovenian, leaning toward the school of smoother rather than the rough and choppy, which I like. So as you can guess, I can’t wait for third and final volume, which should have en early sonata (Op. 12, No. 3), a middle sonata (Op. 30, No. 1) and the famous “Kreutzer” Op. 47, which is more or less the king of the series and should receive a magisterial reading from them, even though the live performance with Perlman and Argerich, despite some bad pitch moments, is hard to beat as a single performance. So all in all, I give the CD 10 out of 10, and highly recommend that you listen to these Beethoven sonatas and wait for the rest from these same performers. 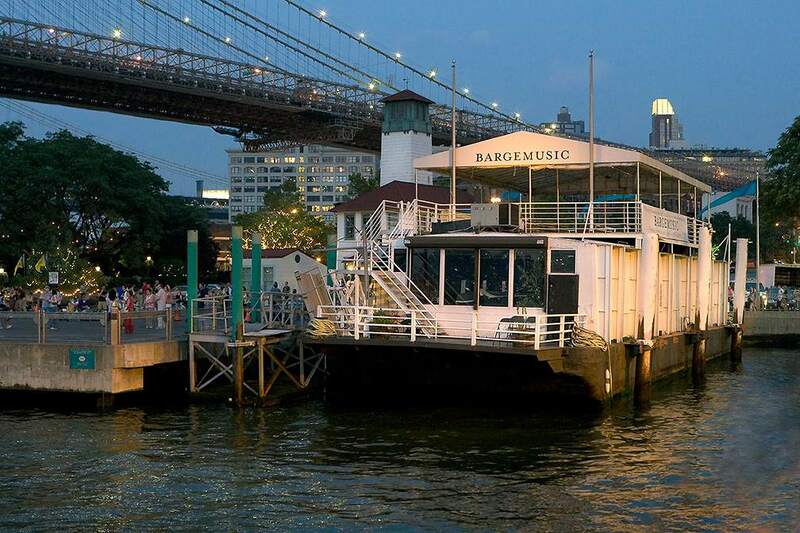 As for The Ear, it makes me place Wigmore Hall, where I have never been to, right up next to Bargemusic (below) in New York City, as a major stop on my daydream music pilgrimage. Do you know the “Wigmore Live” series of recordings? What do you think? 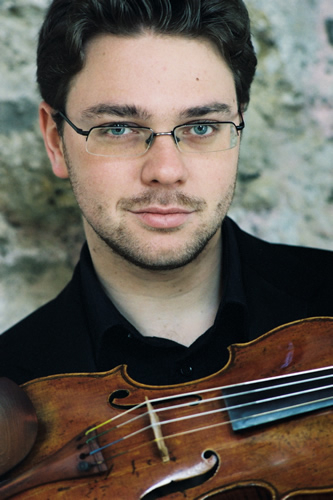 What do you think of these performers and their Beethoven violin sonatas? It has been a hectic few weeks for the Madison Symphony Orchestra’s music director John DeMain, who this spring will wind up his 16th season with the MSO. He has interviews to conduct for the Madison Opera, where he is artistic director; he had to do planning and help the MSO launch its new season (posted here on Tuesday); he conducted some very complex and difficult pieces for the high school concerto competition concert, The Final Forte; and he had to prepare for the three concerts this weekend that will feature Beethoven’s mammoth Symphony No. 3 “Eroica” plus Samuel Barber’s Violin Concerto with soloist Robert McDuffie (below); and Dvorak’s sprightly “Carnaval” Overture. Performances in Overture Hall are on Friday at 7:30 p.m.; on Saturday at 8 p.m.; and on Sunday at 2:30 p.m. Tickets are $15-$75. Call the Overture Center box office at (608) 258-414. This is the second time you have programmed the “Eroica” here in Madison. How has your interpretation changed, if it has? 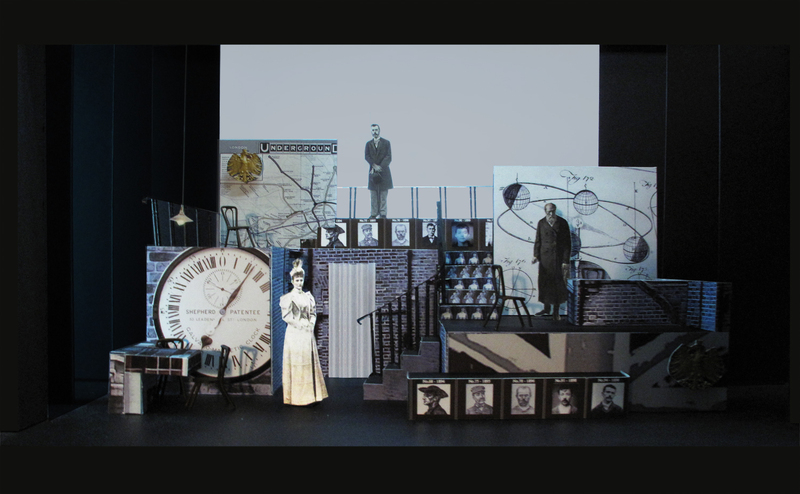 What would you like people to know about the work and the performance? This is a transformative work in the history of the symphony, a huge, contrasting canvass, wonderfully dramatic, and, of course, heroic. As always, the search for tempo giusto is foremost in my mind. 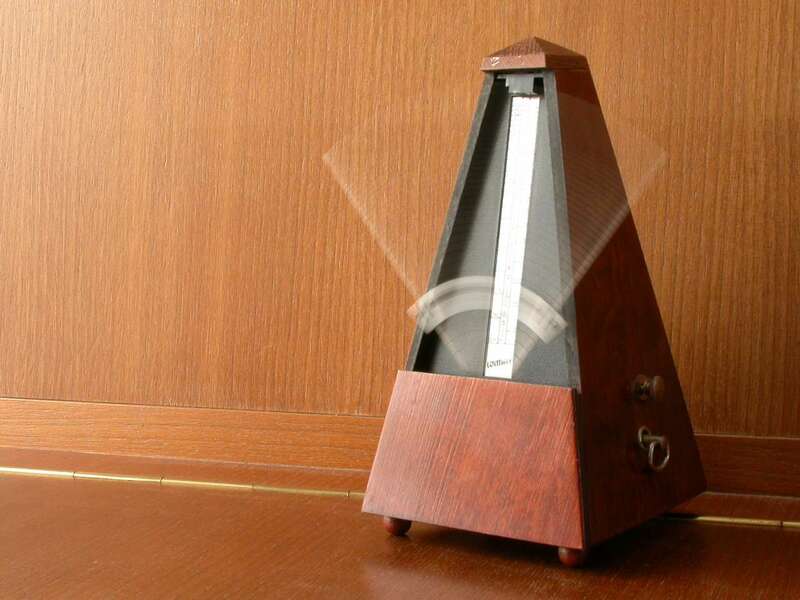 The Beethoven metronome markings were done on an inaccurate metronome (below), so those markings are totally unreliable, and if you try to do them, there is no breadth to the music. But there is also the other extreme of lugubrious tempi that can bog down this masterpiece. So we’ll see. It’s been too long to know how my interpretation has changed, and I don’t want to listen to the archival tape of what I did the last time. I want to approach it fresh. 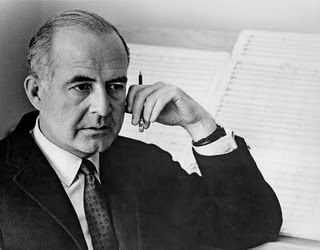 Samuel Barber (below) is considered conservative as a modern composer. But he has had a revival, and his Violin Concerto is right up there. How do you thing posterity will treat the Violin Concerto and Barber in general? What makes his works appeal so to the public? Barber is able to combine great beauty and lyricism in his writing along with the use of other modernist techniques. I think it is the lyrical beauty of his music that will make him and this violin concerto, in particular, last. We seem to be performing this work more than ever these days, and that’s a good thing. 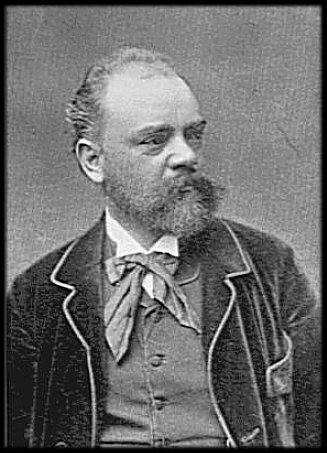 How does the “Carnival” Overture by Antonin Dvorak (below) set up the program and why did you include it? Do you intend to make another recording of Overtures in Overture Hall? While we have no specific plans to do another CD, having shorter works available for such a project is valuable. But I programmed the Dvorak to hopefully wildly contrast the Barber concerto that follows. The first movement of the Barber is so pastoral like and romantic in character, so a wild ride at the carnival should provide us the perfect foil to the concerto. Also, it has been years since we have played this Dvorak and shows off the virtuosity of the string section, and has that beautiful contrasting slow part. Alongside McDuffie’s expertise with the Barber concerto, which he recorded some years back, any foray into a Beethoven symphony is an integral and important part of our music-making experience. The craft and the sound that Beethoven (below) possessed, for me, doesn’t fade with time, rather only grows in estimation of this unique human, who for a short time graced this planet, and left us with these unsurpassed aural treasures. I hope we serve him well. Spring Break at the University of Wisconsin is over and now the tempo of the concert life will pick up gradually and get faster and faster until mid-May, when there will be another short intermission before the summer music season starts. There are some interesting concerts this week. 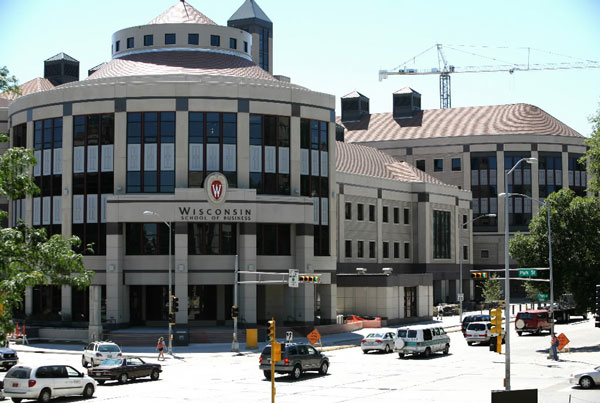 But some of the most intriguing events, at least to my mind, is a major conference at the University of Wisconsin that is free and open to the public. The conference keynote is a lecture-demonstration about music and new media/social media/video games, slated for Friday. Then comes two days of papers on music slated for Friday and Saturday. All events take place in Grainger Hall (below) at the UW School of Business. Concerts are for knowing the music. Conferences are for knowing about the music, and about issues related to the music. These occasions are great examples of the Wisconsin Idea – the public university serves the state that pays for it – in action. The UW does that with the music itself, but it also does it with scholarship about the music. 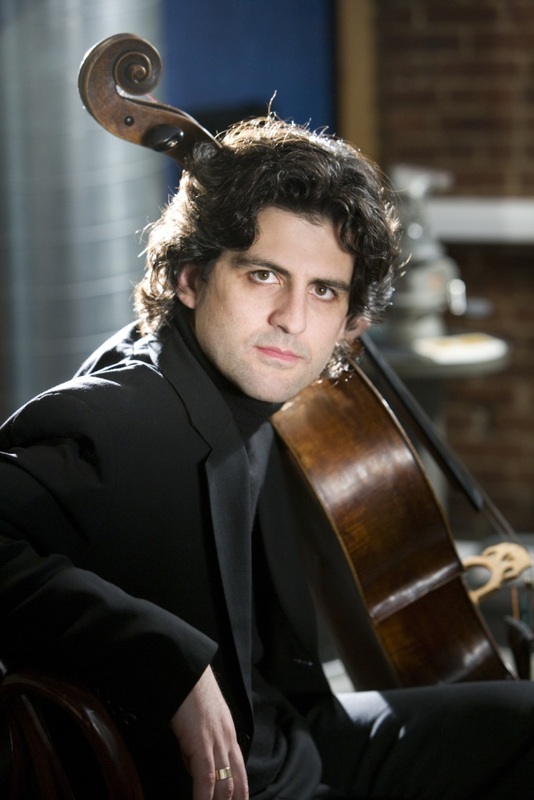 The BIG concert event this week is a terrific MUST-HEAR program by the Madison Symphony Orchestra under John DeMain (below, in a photo by Katrin Talbot). It features two strongly contrasting but essential and beautiful masterpieces: Beethoven’s Symphony No. 3 “Eroica” and Samuel Barber’s Violin Concert with guest soloist Robert McDuffie (below), who never disappoints, especially in modern American repertoire, which is a specialty of his. Dvorak’s high-spirited “Carnival” Overture raises the curtain. Performances are in Overture Hall on Friday at 7:30 p.m.; Saturday at 8 p.m.; and Sunday at 2:30 p.m. The 15th Annual Midwest Graduate Music Consortium Graduate Student Conference takes place on Friday and Saturday. It starts at noon on both days in the Grainger Hall of the Wisconsin School of Business at University Avenue and Park Street. 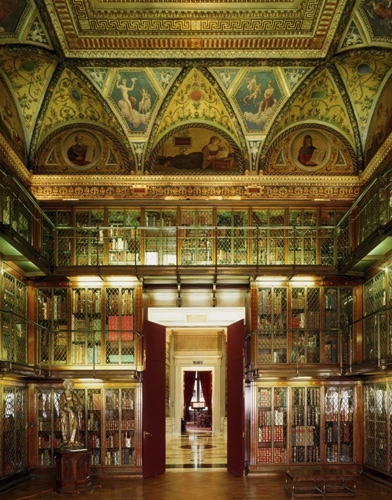 It is open and free to the public. The Midwest Graduate Music Consortium is a joint venture organized by graduate students from The University of Wisconsin-Madison, The University of Chicago, and Northwestern University. Conferences allow graduate students in various fields of music to come together and share ideas on a vast array of topics in a professional and collegial atmosphere. 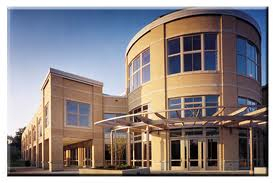 Conferences are held annually on a rotating basis in Madison, Chicago and Evanston. 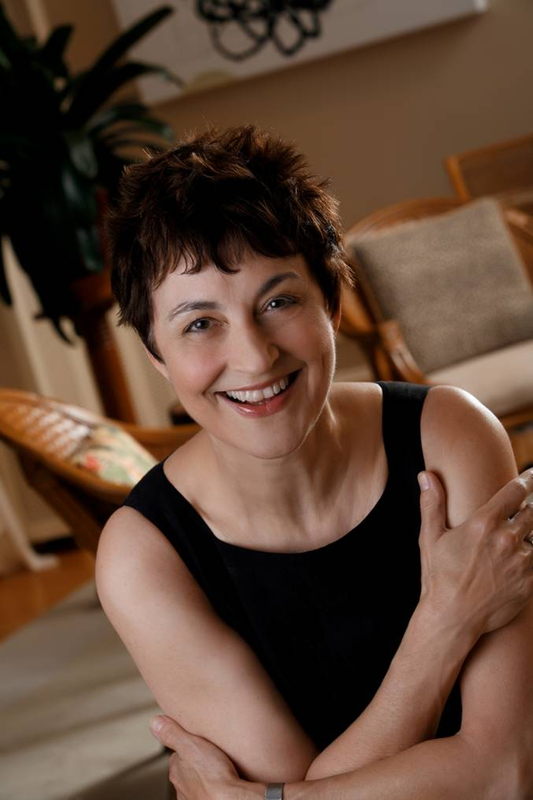 The free Friday Noon Musicale, held from 12:15 to 1 p.m. at the First Unitarian Society Meeting House, 900 University Bay Drive, offers Olga Dragieva, flute; Lin Dragieva, violin; Ina Selvelieva, piano, in the music of Quincy Porter and Krzysztof Penderecki. On Friday at 4 p.m. in 2120 Kellner Hall in the Grainger Hall at the Wisconsin School of Business, Brown University ethnomusicologist Kiri Miller (below) will discuss music and new media in Playing Along: Digital Media and Virtual Performance. “Over the past decade, music has played an increasingly important role in Web 2.0 online content and popular digital games. Streaming audio/video technologies and social networking sites have made it possible for people to go far beyond trading mp3 files online; today they take music lessons through YouTube, participate in virtual collaborations, and engage with popular music in new ways by playing games like Guitar Hero. SATURDAY: See Friday for the Madison Symphony Orchestra. SUNDAY: See Friday for the Madison Symphony Orchestra. This week’s “Sunday Afternoon Live From the Chazen” features the Advent Chamber Orchestra with David Perry (below left, in a photo by Katrin Talbot), first violinist of the UW Pro Arte String Quartet , as soloist. The free concert, to be broadcast live on Wisconsin Public Radio, is from 12:3o to 2 p.m. The program includes two Bach string concertos and a Schubert Rondo. Members of the Chazen Museum of Art or Wisconsin Public Radio can call ahead and reserve seats for Sunday Afternoon Live performances. Seating is limited. All reservations must be made Monday through Friday before the concert and claimed by 12:20 p.m. on the day of the performance. For more information or to learn how to become a museum member, contact the Chazen Museum at (608) 263-2246 or visit http://www.wpr.org. 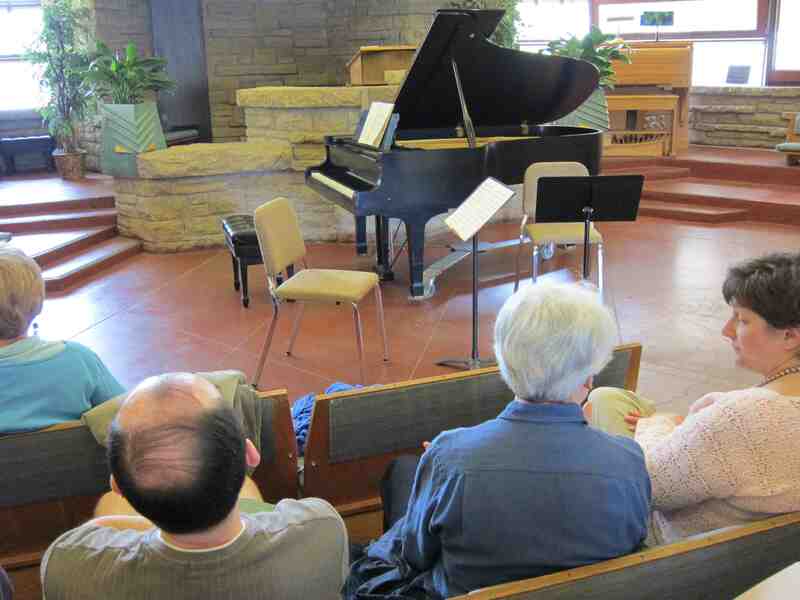 Sunday Afternoon Live from the Chazen is a free, weekly chamber music series presented by the Chazen Museum of Art and Wisconsin Public Radio, with the cooperation of the University of Wisconsin–Madison School of Music. The series, hosted by music commentator Lori Skelton, is broadcast live on Wisconsin Public Radio stations WERN, 88.7 Madison; WHRM, 90.9 Wausau; WPNE, 89.3 Green Bay; WUEC, 89.7 Eau Claire; WVSS, 90.7 Menomonie; WHSA, 89.9 Brule; WGTD, 91.1 Kenosha; WLSU, 88.9 LaCrosse; and WHND, 89.7 Sister Bay. Generous support for the series is provided by individual donations to the Chazen Museum of Art and Wisconsin Public Radio. On Sunday at 2:30 p.m. in the St. Joseph Chapel at Edgewood College, 1000 Edgewood College Drive, the Edgewood College annual Spring Choral Concert will take place. It will feature the Chamber Singers, conducted by Albert Pinsonneault, and the Women’s Choir, conducted by Kathleen Otterson. The Madison Symphony Orchestra’s student concerto competition concert, the Final Forte held in Overture Hall last Wednesday, will be broadcast on Wisconsin Public Television at 8 p.m. See how the four finalists (below, in a photo by Jim Gill) performed and were judged. See posts here last Monday, Tuesday and Wednesday for interviews with the students. At 7:30 p.m. in Mills Hall, the UW Concert Band will perform under Mike Leckrone (below). Admission is free and open to the public.